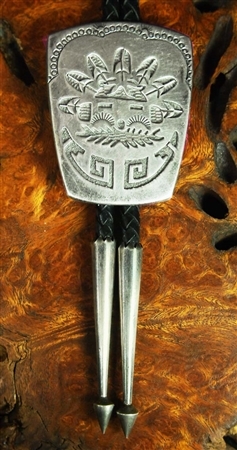 A beautifully designed bolo tie is Navajo work. 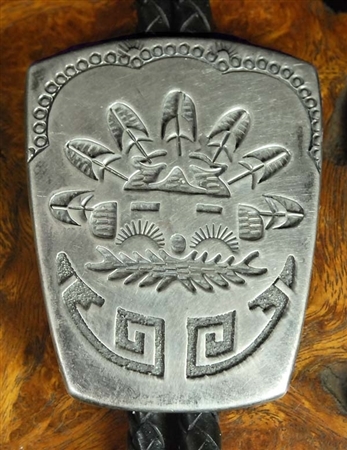 This bolo tie offers the absolute best in silver work and design, with a wonderful overlay figure and stamp work. 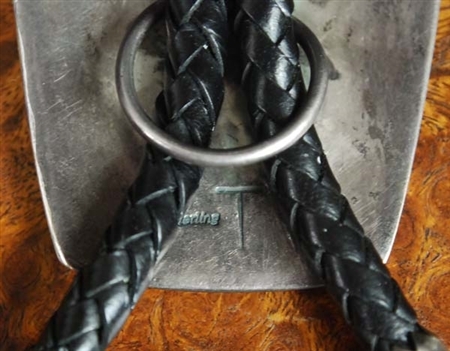 The bolo measures 2 3/8" long by 1 7/8" wide. The bolo tips are 2 3/8" long. A soft aged silver patina graces the entire piece. Hallmarked T and sterling.